I've written quite a bit about the damage that sugar can do to your skin. 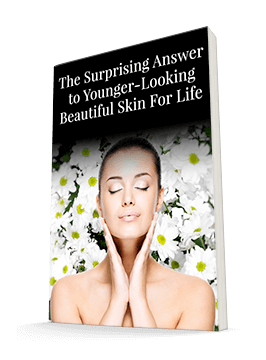 It's one of the fastest ways to age your skin. In fact, it's third only to UV radiation and smoking. So it's wise to cut back as much as possible if you want to look your best. I wish I could tell you that you can just replace sugar with an artificial sweetener, adjust to the taste difference, and carry on as usual. But research indicates that if it's a healthy body and healthy appearance you're after, that won't work either. We all know that sugar is bad for us, so people often try to replace it with artificial sweeteners like aspartame and sucralose. When these sweeteners let us enjoy treats for fewer calories, we think we're winning. 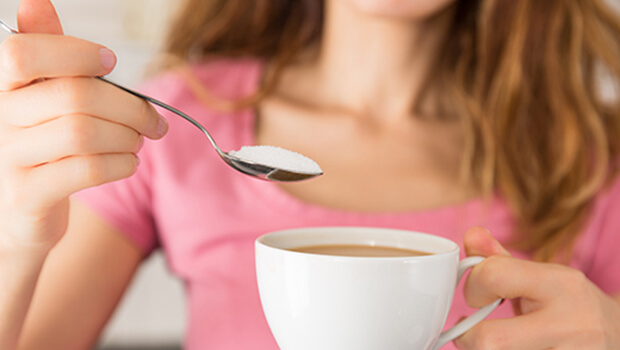 Unfortunately, a study recently published in the Canadian Medical Association Journal indicates that artificial sweeteners could be doing quite a bit of harm to our health as well. Soap will dry your skin. This highly concentrated cleanser contains an exclusive blend of ingredients that remove dirt, oil and even stubborn eye makeup without drying. Plus, you'll be restoring natural moisture, too. For this study, researchers at the University of Manitoba's George & Fay Yee Centre for Healthcare Innovation reviewed 37 studies on artificial sweeteners. In all, these studies covered over 400,000 participants, followed for an average of 10 years. The researchers found no consistent evidence that artificial sweeteners help people lose weight. Moreover, they found that the longer the study, the greater the evidence that artificial sweeteners were actually linked to weight gain. Even worse, they found connections between artificial sweeteners and high blood pressure, diabetes, heart disease, disruptions in gut bacteria, and metabolic changes. Even if you escape most of these issues, we've discussed in the past how changes to your gut bacteria can disrupt your skin. And excess weight gain will stress your skin as well. While additional research is needed to draw definitive lines between artificial sweeteners and this myriad of issues, the signs aren't looking promising for these zero-calorie options. The bottom line is that if you want to feel and look your best from the inside out, you need to stick with whole, unprocessed foods. The natural sugar found in foods like fruit is fine in moderation. And you can have a sugary treat every now and again. In fact, I'd rather you choose one made with actual sugar than with a chemical. But it shouldn't be an everyday occurrence. If it is, your skin and your health will likely suffer. Giving up sugar or artificial sweeteners can be challenging, but if you wean yourself off gradually, you'll soon find your taste buds adjusting - and you'll remember how delicious real food can be! And these days there are so many sweet treats being made with sweeteners such as stevia that our choices are broader and not bad tasting.